Chalet for double, with air conditioning (12. 000 BTUs), wi fi, frigobar, cable TV with all channels available and balcony with hammock. 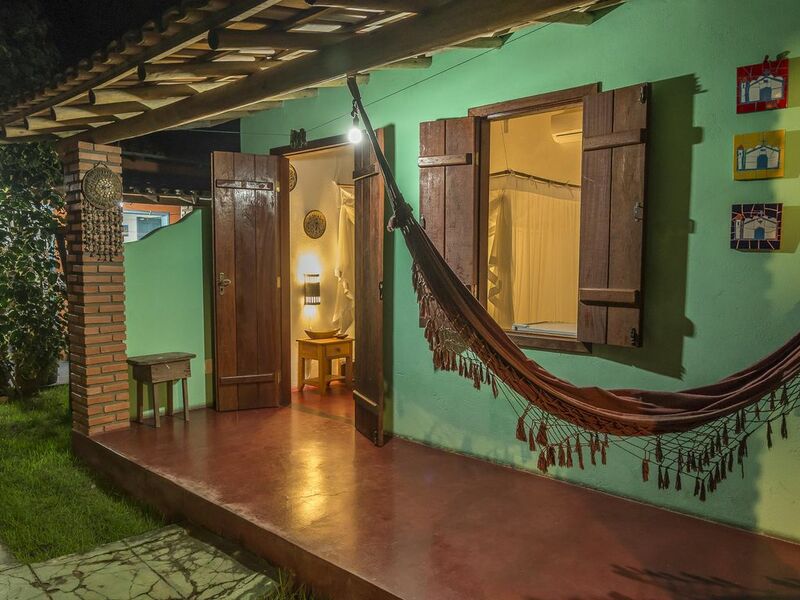 Comfort and tranquility to seek the peace of paradise in Caraíva! Ethnic decoration, thought with muto affection, bringing pieces of Marajoara Indigenous Art, masks of Bali and a papyrus made with original Egyptian techniques. The private entrance, three blocks from the sea and 5 minutes from the river's edge, where are the main restaurants of the village, forró and other attractions. Large and spacious bathroom with white towels, sink with two tubs, hygienic shower, toilet paper and soap.